MetricStream Off Campus Drive 2019 scheduled for Member Technical Staff – Trainee for 2017/2018 Batch B.E/B.Tech/MCA graduates. The detailed eligibility criteria and application process are given below. Good knowledge of the Application Server architecture is required. Relevant Certification would be an added plus. The candidate must also be flexible enough to work different shifts in a 24×7 support environment. Note: Candidates willing to commit a minimum of 24 months need only apply. Candidate will be part of Metricstream implementation team and will be working on designing and developing applications. 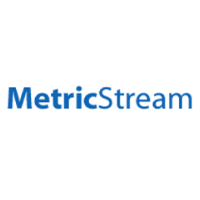 You will work closely with MetricStream’s customers, product management, QA and support organizations to develop and deliver high quality applications. As a part of development team, you will be developing mobile applications. Manage and support large scale, high availability production deployments – including hands-on work on installation, configuration, tuning, and scaling Application Servers. How to apply MetricStream Off Campus Drive? Interested and Eligible candidates can apply this drive in online latest by 27 April 2019 and attend drive at Bangalore on 27 April 2019.